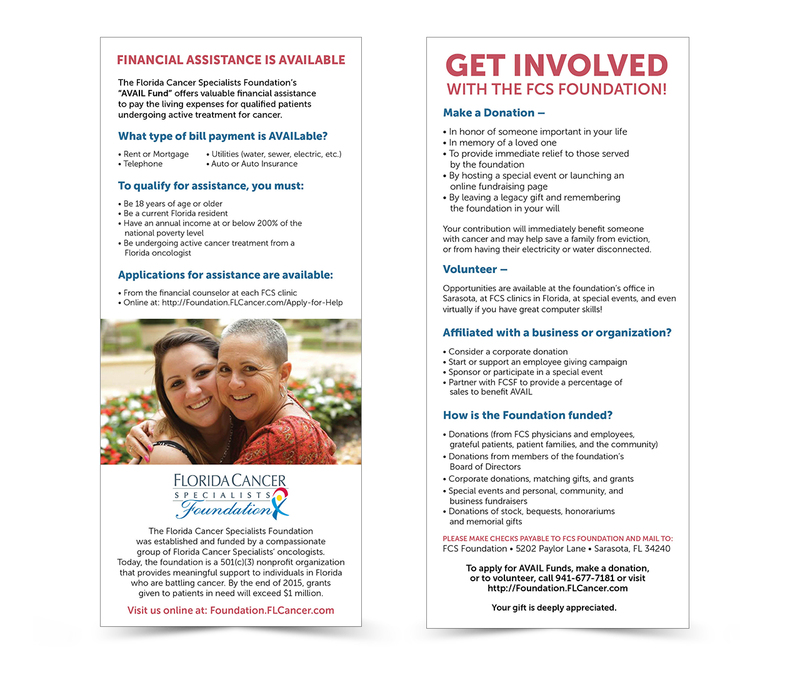 Florida Cancer Specialists | Commit Marketing | A Full-Service Marketing, Web Design & Development Firm Located In Sarasota, FL. 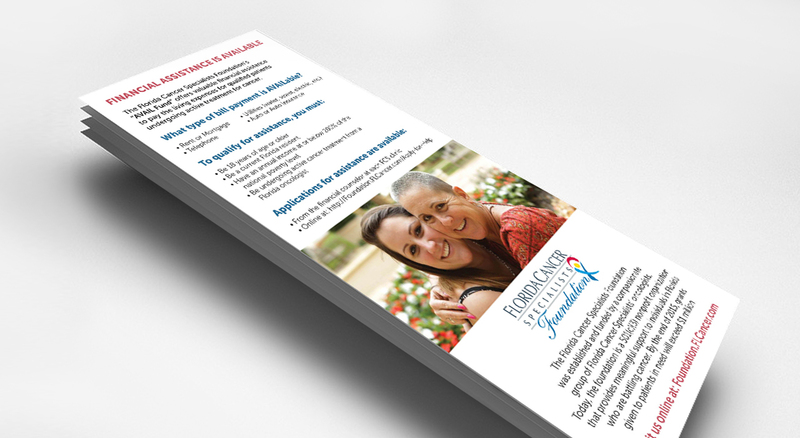 Working along side the Florida Cancer Specialists Foundation we reviewed their goals for an updated design of a rack card. 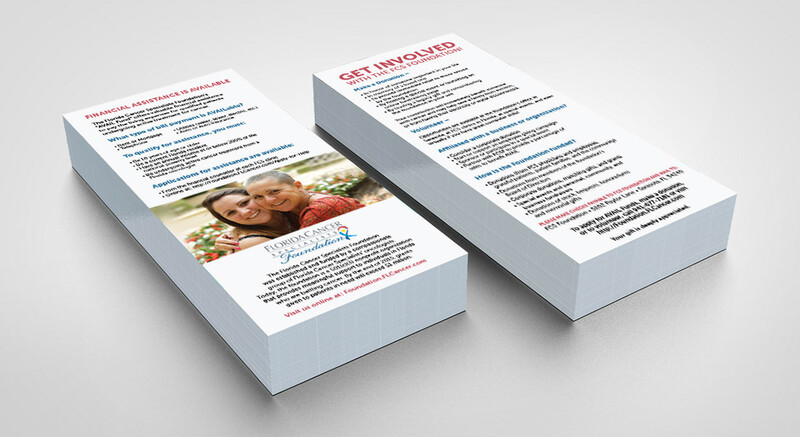 These rack cards were used to promote and detail the foundation and their services. This rickrack was placed inside their many locations throughout the state of Florida.